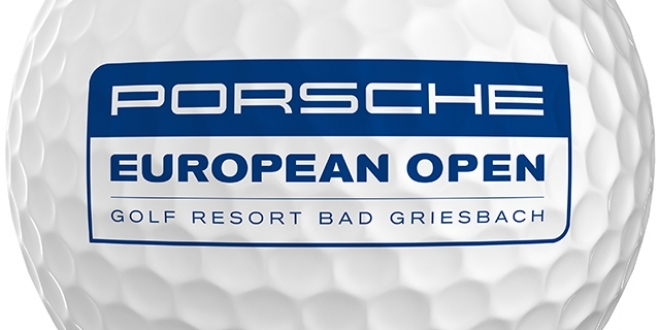 This week the European Tour is in Germany for the Porsche European Open, an event which was last used in 2009. Christian Cevaer won the last renewal of this event and back then it was one of the bigger events on the European Tour schedule. With a total prize fund of €2,000,000, the purse doesn’t even come close to the $8,250,000 up for grabs on the PGA Tour, but it is still set to be one of the better events in Europe this year. The likes of Graeme McDowell, Charl Schwartzel, Hunter Mahan, Morgan Hoffman and Bernhard Langer are all making rare European Tour appearances and they’re sure to attract the German crowds. We head off to another new European Tour venue this week, Golf Resort Bad Griesbach, located in Bavaria, Germany. Two time major champion, Bernhard Langer who happens to be in the field this week designed the golf course which looks a cracking venue for a big event. The course is a par 71 that’ll play a testing 7,188 yards, but low scores are possible. Water comes into play on virtually every hole and the rough is uncut and left to grow wild, therefore I expect driving accuracy to be crucial around this week’s European Tour venue. David Howell – David Howell has had an excellent season, thus far. He’s recorded an astonishing seven top 10 finishes and he’s a five time winner on the European Tour, and it won’t be long before he records his sixth victory in my opinion. The Englishman comes into this event in good form, in the past two weeks he’s finished 12th and 25th, this indicating that his games in good shape. As I’ve mentioned above, the course requires accuracy and Howell is a relatively accurate driver of the ball, therefore this course should suit his strengths. Miguel Angel Jimenez – He maybe 51 years old but Miguel Angel Jimenez is still a class act. He’s won an incredible 21 European Tour titles and has finished 2nd on two occasions this year, therefore he’s still capable of winning at this level. Last week the Spaniard finished in 11th position, despite recording a shoddy third round score of 72, a slightly better round and he could’ve comfortably won the tournament. As I’ve mentioned above, driving accuracy is advantageous, and Jimenez has consistently been one of the straightest drivers on tour over the last few years and that has continued this season. Wade Ormsby – At the start of the season, Ormsby finished inside the top 11 on five occasions, he has since struggled for form, but his performances in the KLM Open and the Italian Open, suggests he’s playing well. Two weeks ago, Ormsby finished in 10th position and despite shooting a third round of 74, Ormsby finished 33rd last week. Admittedly, the Australian has never won the European Tour but this week’s venue should be to his liking as he’s an accurate driver of the ball, therefore I’m happy to have him on my side this week.